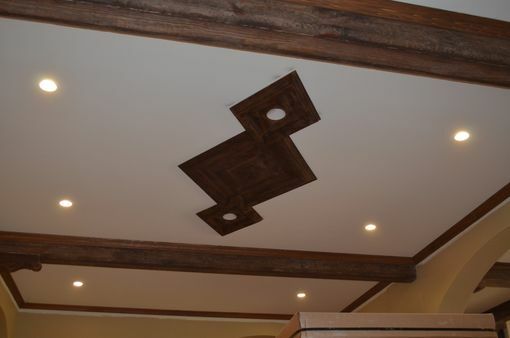 These rustic beams and ceiling medallions are made of pine. 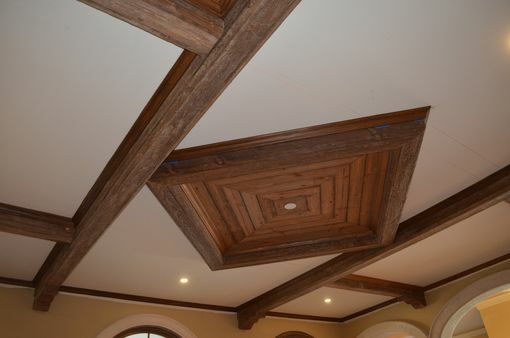 The beams were wire brushed and stained. 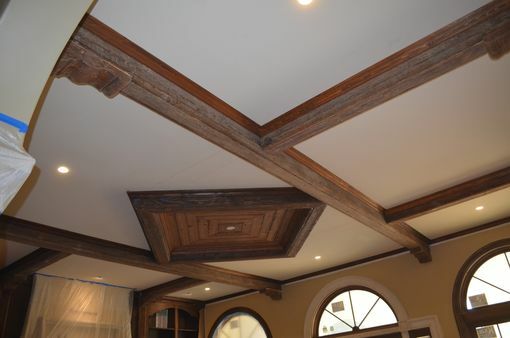 Corbels were added to complete the look.